You don’t have to be a Broadway baby to scratch your onstage acting itch. In fact, all around the country—and outside of it—there are bustling theater communities producing works so vibrant they’d have Edward Albee rolling over in his grave. Want in on that action? 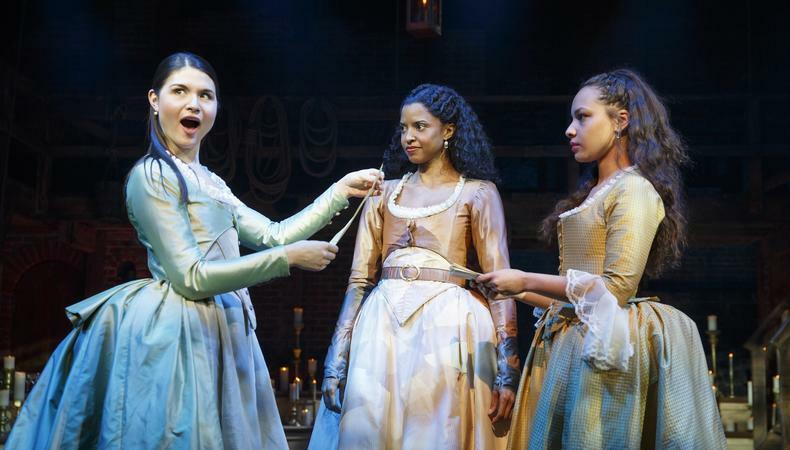 You’d be wise to know the ins and outs of industry happenings, and this is a good place to start: From across the pond and back again, here is the week’s biggest regional theater news. The room where it happens will happen in Canada. “Hamilton” (you’ve heard of it?) will make its Canadian premiere as part of the 2019–20 Mirvish Theatre Season. The Lin-Manuel Miranda tour de force will run February–May 2020 at the Ed Mirvish Theatre in Toronto. Rounding out the season’s slate of productions will be 2018 Tony winner “The Band’s Visit,” “Hello, Dolly!,” “Anastasia,” and more. Casting for any production has been announced. Hollywood’s going into the woods. The Hollywood Bowl has announced an enchanted summer production. The iconic Los Angeles amphitheater will stage Stephen Sondheim and James Lapine’s “Into the Woods” for three performances July 26–28. Featuring indelible songs including “Children Will Listen” and “No One Is Alone,” the musical has not yet announced casting nor a creative team for the brief run, however, Hollywood Bowl productions frequently call upon Broadway talent both on and off stage. The Paramount Theatre in Aurora, Illinois (just outside Chicago) will present the world premiere of the new musical “The Secret of My Success,” based on the 1987 film starring Michael J. Fox. The production will run Feb. 12–March 29, 2020 under the direction of Gordon Greenberg (“Holiday Inn”), and feature a book by Steve Rosen and score from Chicago-based writers Michael Mahler and Alan Schmuckler. Casting for the musical comedy is to come. A new musical from timeless talent. “Knoxville,” a new musical from the songwriting team Lynn Ahrens and Stephen Flaherty (“Once on This Island”), is heading to Asolo Repertory Theatre in Sarasota, Florida. Featuring both a book and direction by Frank Galati, with whom Ahrens and Flaherty collaborated on “Ragtime,” the drama will begin performances at some time in the spring of 2020. The piece is based on both James Agee’s Pulitzer Prize-winning novel “A Death in the Family” as well as Tad Mosel’s play “All the Way Home,” and is set in 1915 Tennessee. More “Sweat” for the U.K. The U.K. premiere of “Sweat,” the Pulitzer Prize-winning play by Lynn Nottage, will transfer from the Donmar Warehouse to the West End. The piece will begin performances at London’s Gielgud Theatre June 7, playing a limited engagement through July 20. Martha Plimpton, who played Tracey at Donmar, will reprise her role for the second incarnation, with additional casting to come. Lynette Linton directs the drama. King Kong will ravage Japan. “King Kong,” the new musical currently wreaking havoc on Broadway, will take its chaos to Japan. Specifically, the high spectacle piece will be staged at a brand new Hard Rock entertainment resort on the island of Hokkaido. Timeline nor casting has been announced at this time, however, an Asian import has always been the show’s agenda. “When we talked about shows to open the new development, we were looking for something currently on Broadway or planning to be on Broadway that would appeal to a Japanese and an Asian audience,” the president of Nederlander Worldwide Robert Nederlander, Jr. told Forbes.